How a fledgling club used technology and high-class content to turbocharge its group exercise studio and attract swarms of new members. With his pm sports club set in an old German variety theater, fittingly Patrick Müller likes to put on a show for members through group exercise. But he was frustrated by his studio sitting empty during off-peak hours, so he set out to transform it into the club’s star performer. Since adding LES MILLS™ Virtual, Patrick’s doubled his class offering, increased group ex attendances by 250 per week, and referrals are up 40 per cent. With group ex now accounting for 70 per cent of all club visits, Patrick explains how the studio became his club’s beating heart. What’s your background in fitness Patrick? I’ve worked in the industry for several decades and have always been hugely passionate about group exercise. As a result, I’ve always been close to the LES MILLS brand and became a National Trainer in 2004. I founded my club pm sports in 2012 and in December 2017 we moved to our new 700m2 site in what used to be a variety theater. We charge €39 per month and have particular appeal with millennials, so the average age of our members is 30. What challenges were you facing in the new site? Our studio (180m2) spans about a quarter of our club and is big enough for 40 participants to do BODYPUMP™. During peak hours, my studio was jam-packed, but it shouldn’t be empty in the afternoon and at lunch-time. I wanted it to be the beating heart of my club throughout the day, so I started looking at virtual. 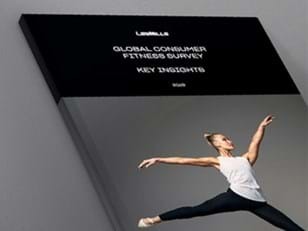 Did you notice a difference in quality between Les Mills programs and rival products? 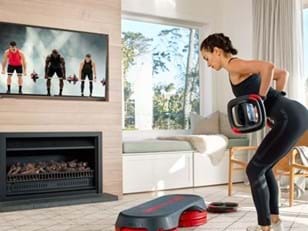 LES MILLS Virtual is way more appealing – there’s so much more action on stage compared to other offerings – so it was a simple choice. The full Virtual package, bringing together the music and world-class coaching, provides a great holistic experience for my members. What’s been the reaction from members to Virtual? Members love the live classes and now they’re delighted that they can join their favorite classes whenever they like. They feel independent, because they can choose so many time options – early morning HIIT is proving particularly popular. And I’m happy too, because they can have a workout and I can stay in bed longer! What’s been the impact of Virtual on your key club metrics? More people come to the club because of my enhanced schedule – I now offer 83 classes a week and 48 of them are Virtual. Group ex attendances have increased by 250 per week and now make up 70 per cent of all club visits. Prospects are really impressed when I do a club tour with them and the variety we offer makes it easy to convert them into members. Also, some members in our packed live classes have switched out to quieter Virtual classes and that frees up prime live spaces to bed in my new joiners. How do you market your live class and Virtual offerings? I personally take the lead on this, because I love diving into Brand Central and getting hold of the great assets to market our group ex offering. The social media content is perfect for my needs as our members are very active on social platforms. We also benefit from a lot of word of mouth advertisement, particularly from members who have been doing virtual and then bring their friends along. Since adding Virtual, our member referrals have gone up 40 per cent. How else have you made your studio more successful? Investing in LES MILLS SMART TECH equipment for the studio has made a big difference, particularly for classes like BODYPUMP as it enhances the experience and makes switching weights in between songs a much slicker experience. At the moment we’ve got the SMARTBAR™ and SMARTSTEP™ range, but we’ll also add SMARTBAND™ In the next few months. I’ll also be upgrading my projector to TV screen mosaic solution to provide better quality visuals and enable use of Virtual content in the background of live classes to further enhance the experience. What would you say to other club owners considering virtual fitness for their studio? Make sure you work with Les Mills, it’s the best business-solution you can implement to your business. The whole value proposition – science-led programming, great music, world-class instructors, expert advice and impactful marketing assets – gives you everything you need to turn your club’s group ex offer into a profit-center. Want to learn more? Discover how LES MILLS Virtual can drive new memberships for your club HERE. Providing world-class group fitness programs is a profitable investment and a proven retention tool for members.